Once upon a time, I had a love of baking. And then, life happened and I suddenly lost that love of baking. 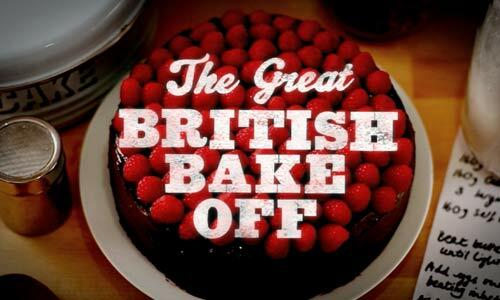 Three years later, a show called The Great British Bake Off came along and suddenly…I want to bake again! Though now deeply addicted to the show, it was not easy getting me to watch it in the first place. Co-workers whose fond memories of my baking refused to leave them would tell me about the show, thinking that it would interest me because well…I used to bake all the time. I would thank them and make empty replies of how I’d check it out, it sounds good, bla bla bla, but never really watch the show (I had the same reaction when people told me about Cupcake Wars on Food Network). Then one day, someone from another group at work saw me in the kitchen and remarked on how I’m probably a good cook, after seeing the food I was heating up. Then she remembered my interest in baking and became the second person to tell me about The Great British Bake Off (The Great British Baking Show here in America…I don’t know why we needed to mess with a good title!). Anyway, long story short, the way she told me about the show made me curious and so I ended up binge-watching the show one Saturday, finishing the first season in one day and starting the next the following Sunday. An addiction was born. Charmed by the lovely, non-catty, non-bitchy personalities of the baketestants, the histories of various pastries and other baked goodies presented on the show — Clootie dumplings? What are clootie dumplings? And what in the hell is THIS?!? Turns out it’s a Charlotte royale! Which I’ve never heard of nor seen before! But it’s damn hard to make! Ahem, as I was saying…Charmed by the lovely, non-catty, non-bitchy personalities of the baketestants, the histories of various pastries and other baked goodies presented on the show, not to mention the lovably funny presenters Mel and Sue, judges Paul Hollywood (that’s seriously his last name and he’s not even American!) and Mary Berry (yup, that’s really her name too! ), and the unassuming venue of a great big white tent in which the bakers do all their baking in the middle of some random English country estate, I couldn’t help the urge to break out my KitchenAid named Matilda. Sometimes I even bake along to the show. I’m completely smitten and inspired to bake again, this time with flavors I have never tried before but have seen on the show (chai spice tea loaf, anyone?). I’m even planning to attempt and practice until I get macarons right again! So thank you, Great British Bake Off, you have restored my love of baking. Thank you.